The Membership & External Communications Committee is responsible for reviewing membership and marketing efforts of the Chamber. This is done through exit interviews, surveying and contacting existing and dropped members. The committee also works on reviewing the Chamber website statistics to make changes for better performance of this marketing tool. The committee is comprised of three members of the Board of Directors and three general members. All voting members must be voted on by the Board of Directors to be on this committee. 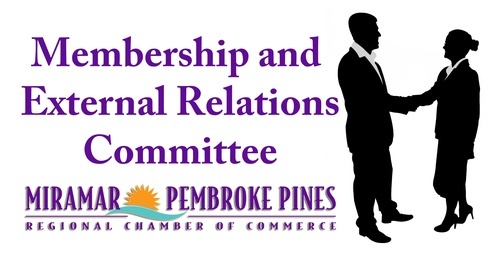 The committee is chaired by the Chamber's Vice Chair of Membership & External Relations.